Have you ever overheard someone in the clubhouse locker room say “I don’t work out because if I bulk up too much I’ll lose my flexibility and my golf swing will suffer”? Or, how about “I play golf so often I don’t need extra conditioning”? Personally, I was never clever enough to come up with excuses like those not to exercise—I’m just plain lazy. 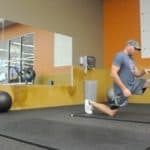 Since the injury rate for recreational golfers is a surprisingly high sixty percent (and even higher for senior players), and because poor conditioning is one of the main ingredients in the recreational golfer’s Recipe for Injury, it makes sense to understand how basic conditioning is an important weapon in the war against golf injuries. People may have thought that golf fitness pioneer Gary Player had spent too many rounds in the hot sun when he began advocating (decades ago) the importance of fitness for golfers. Golf requires fitness? You bet it does if it is going to be played well and with a minimum of injuries. History has proven Gary to be as accurate as one of his chip shots. Not only has he enjoyed a long, successful and healthy career—but today’s touring professionals are surrounded by trainers and fitness gurus as well as a caravan of physical therapists. Okay, so golf doesn’t require the endurance of running a marathon or the brute strength of bench pressing 400 pounds. But, during the two seconds it takes to perform a golf swing we accelerate the club head to speeds of 100 miles an hour or more—which is pretty macho stuff when you think of it. The golf swing also demands rapid, coordinated movement from many muscle groups and stresses parts of our bodies to near all-out capacity (the spinal and trunk muscles, for example). Admittedly, no one is maintaining that the gal or guy who plays a few rounds of golf a month needs to hit the gym the same way that Tiger is known for. That said, it is a widely held conviction among golf medicine experts that a flexible and strong body is better protected from the excessive forces of the golf swing than a poorly conditioned body. Flexibility. We are all familiar with the red line on the upper portion of our car’s tachometer gauge. It’s there to remind us that if we push the engine beyond its stress tolerance bad things will happen. Our muscles and joints have limits too. If we push them beyond their stress tolerances, bad things (like sprains and strains) will happen. But flexibility training stretches our muscles, ligaments, and tendons in a controlled, gradual, and progressive way. The net result, over time, is that the golf swing no longer stresses our muscles and joints to their extreme limits of motion. It’s almost as if we nudge that red line on the tachometer farther and farther. 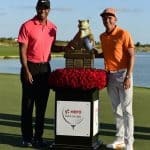 Want to be more like Gary and Tiger? Well, researchers have noted that trunk flexibility is a key difference between the professional golfer and the amateur. Some experts believe that trunk mobility is the most important component of a successful golf conditioning program. Improving trunk and spine flexibility in the recreational golfer will likely result both in improved swing performance and in decreased risk of injury. Aerobic Conditioning. By definition, an aerobic activity is any exercise that increases the heart rate to 75 percent of a predicted maximum and keeps it there for at least twenty minutes, three times a week. The “target” heart rate varies depending on the athlete’s age. Popular aerobic activities include brisk walking, jogging, biking, and swimming. Remember, walking a golf course involves schlepping up and down five miles of hill and dale and burns up to 1,000 calories. So, while playing golf won’t get you in shape to climb Mount Everest, it is better for you than sitting around the house. But, if playing golf is the only regular exercise you get, you are likely to feel pretty wiped out by the back nine. This will likely detract from both your performance and your enjoyment of the game. It is imperative to keep in mind that athletic training should be approached cautiously, and should be individualized for each golfer based on his/her age and the presence of underlying medical conditions such as high blood pressure or heart disease. 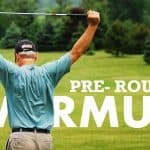 Golfers are advised to consult with their doctor before starting ant vigorous exercise program. In summary, the ideal conditioning program for the recreational golfer should involve a progression of sport-specific activities designed to develop muscular strength, endurance, flexibility of the muscles and joints used in golf, and overall aerobic fitness. Illustrations of simple golf conditioning exercises that you can do at home are found in Dr. Divot’s Guide to Golf Injuries—A Handbook for Golf Injury Prevention and Treatment. Larry Foster, M.D., F.A.A.O.S., is a board-certified orthopedic surgeon and self-described golf nut. Trained at Columbia University and the Hospital for Joint Diseases in New York, Dr. Foster is the author of Dr. Divot’s Guide to Golf Injuries—A Handbook for Golf Injury Prevention and Treatment. Written in a humorous “plain-English” style, Dr. Divot’s Guide teaches the reader how to prevent and treat the most common golf injuries. Visit Dr. Divot’s website at: www.doctordivotmd.com. Carpal Tunnel Syndrome and GolfAttention Lady Golfers: Beware of the Injury Bug!